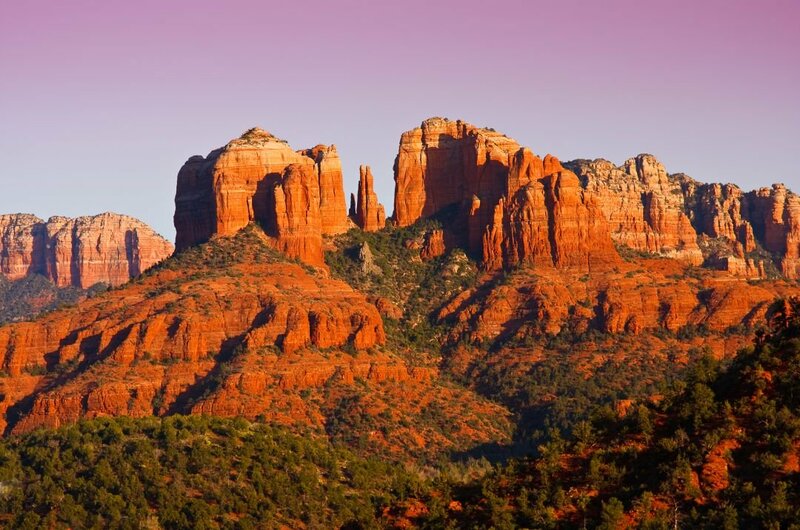 Take a sightseeing tour to Sedona to find your true persona in this beautiful and some say spiritual city. 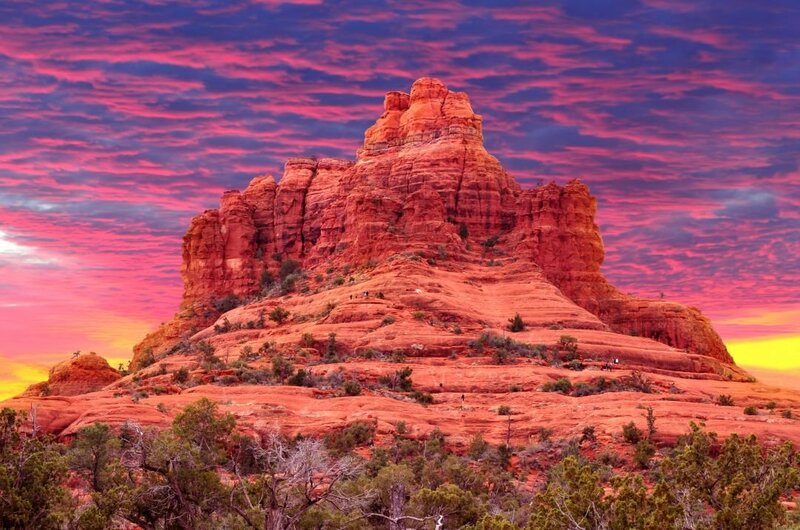 Found within the striking red sandstone formations of Arizona, Sedona is a very popular place for a tourist to visit. The backdrop to here is fantastic as you arrive up to the town with the stunning Red Rocks looking down, it is picture perfect. It is not only the beauty of this city that attracts people here; it is the vibrant arts community. There are as many as 100 art galleries in the city and lots of Art Festivals which include the Sedona International Film Festival, Sedona Arts Festival and the Sedona Jazz Festival. The atmosphere is so good in the city during the festivals; it puts a skip in everyone's step. The outdoor activities are of the highest standard and that is not surprising when the landscape offers so much to do. Mountain biking is really popular but so is off-roading for that extra thrill. 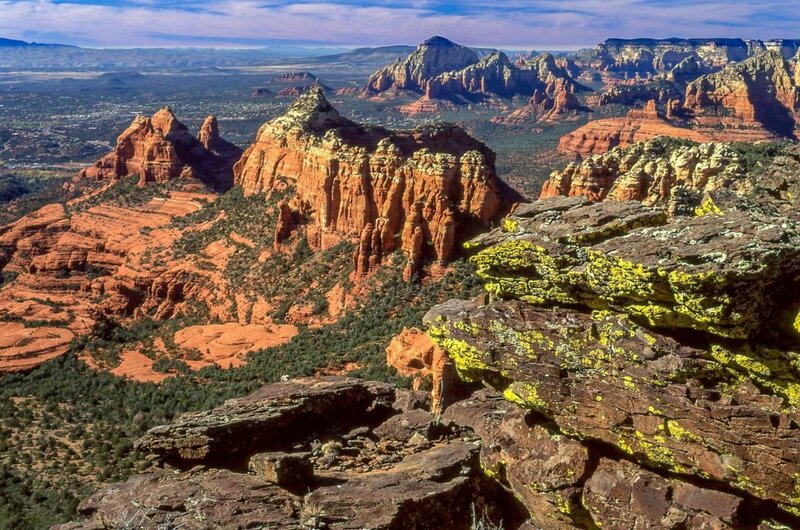 Not only is Sedona surrounded by the stunning beauty it is well known for being a very Spiritual place and there are some that say it is a sacred place. The evergreen vegetation and the red rock give an energy to Sedona that is unique. The effects are inspirational, regenerative and healing. There are a number of specialised guided tours such as jeep tours to bring you to different areas, whether it is healing, wellness, meditation, inner peace or an uplifting experience. There is no doubt that Sedona has a very nice effect on anyone who takes the time to visit. There is no doubt that Sedona has a very nice effect on anyone who takes the time to go on a sightseeing tour here. With all the different attractions in Sedona and the variation being so vast, you need not worry about how to do everything because there is a private tour for all your needs that will organise everything on your wish list. 1 Take a guided tour to Red Rock State Park to see the huge rock formations with unique cliff facing, walk through the red dirt before coming into the oasis of green meadowland all the while looking out for the multitude of wildlife. There is something to cater for everyone here from hiking trails, leisurely nature strolls and picnics to name but a few. The visitors centre is very informative and well worth the time to see. 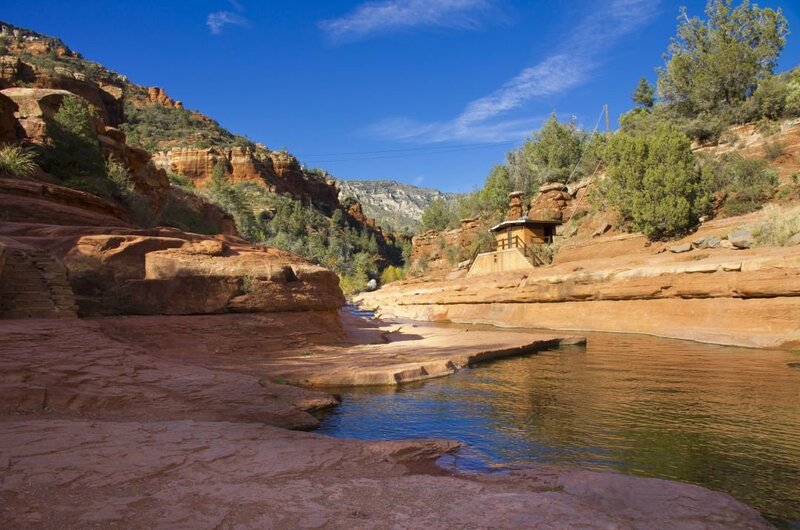 2 A really good place to see while on the sightseeing tour is the Oak Creek Canyon. This Canyon is a river gorge situated between Sedona and the city of Flagstaff. It has been described many times as the smaller cousin to the Grand Canyon. The fantastic scenery is breathtaking as you descend the canyon on winding roads through the forest with the red-faced rocks backdrop peeping through the oak and pine trees. 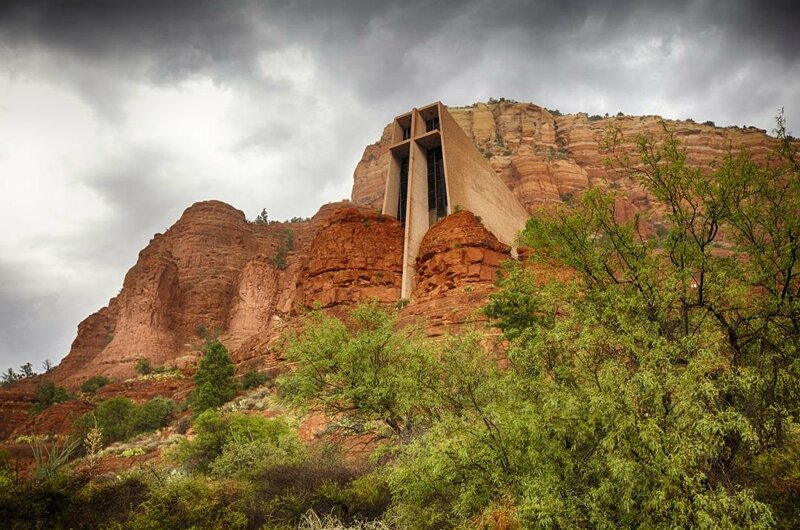 3 A lovely place to see when on a private tour of Sedona is the Chapel of the Holy Cross. You will be shocked when you arrive as the architecture of this church is like no other but is stunning none the less. It is narrow, tall and long and it looks like it is hanging off a cliff. At night it is spectacular when all lit up. All visitors are welcome into the chapel whatever their religion. Great souvenirs in the gift shop too. 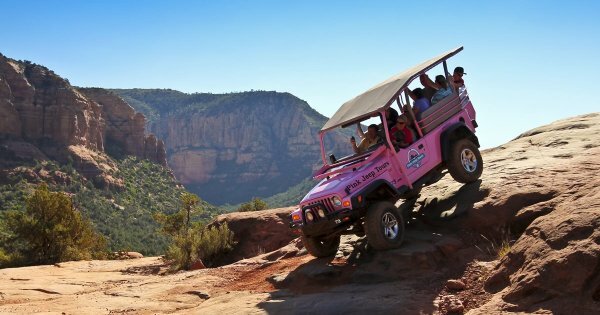 5 A fantastic private tour to take the whole family on is the one to Slide Rock State Park. Here you will have the best fun day in one of the top 10 swimming holes in the United States. You get to swim and slide down a naturally made chute into a pool below all with the stunning red cliffs surrounding you. The water is crystal clear and it is not called slide rock for nothing; the creek is slippery at the bottom. 6 Another wonderful place to go on guided tour is to Honanki Heritage Site. The ruins of dwellings that were built into the red cliffs are amazing to see. 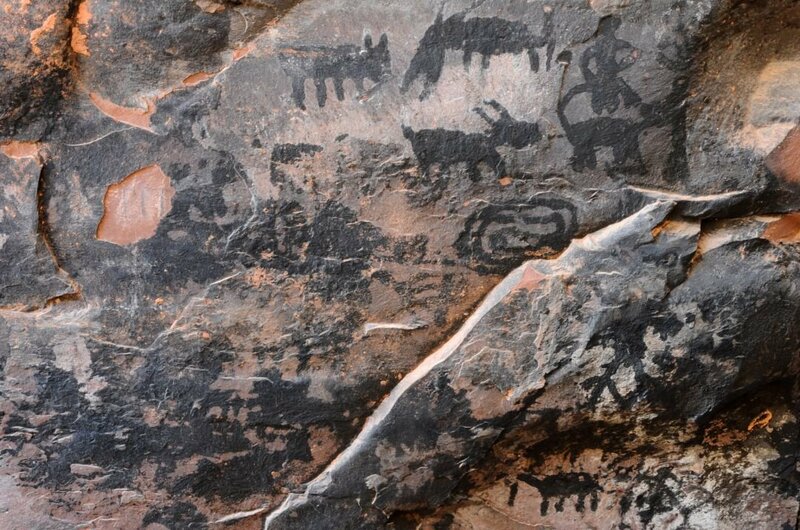 You can make out most of each dwelling and the inscriptions on the rocks are fascinating when you think about the fact they were left there thousands of years ago by the first full-time settlers the Sinagua. It can be a bit of a trek to see it all but well worth it. 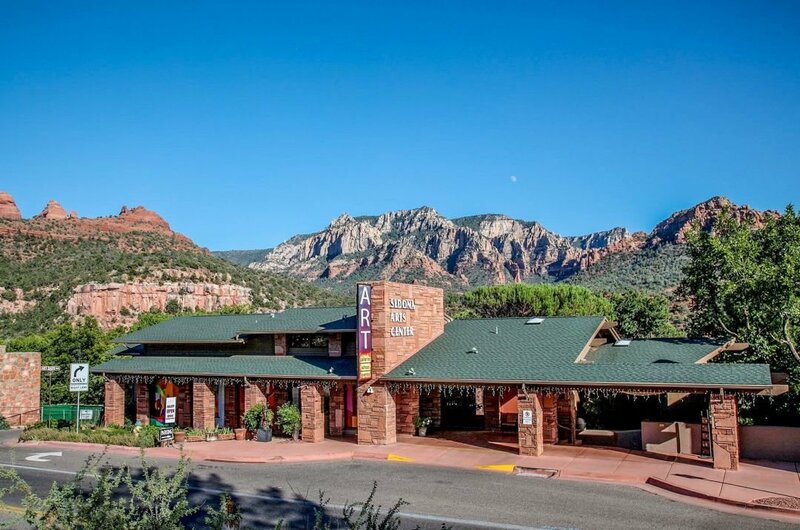 7 For a break from the trekking of Red Rock why not take a guided tour of the Sedona Arts Center. In 1951 an Egyptian sculptor was so inspired by the natural beauty of Sedona, he saw that Sedona needed a place where artists could work. 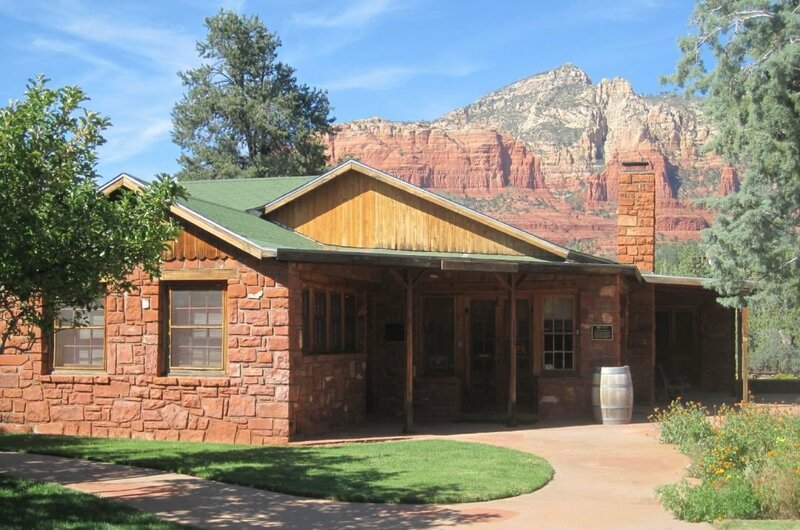 From a small cabin, Sedona's Art Centre has grown to become a must-see for tourists. The fine art and sculptures from mainly local artists are amazing. With lots to see and learn it is a great place to go. 8 Another Canyon that is worth taking a guided tour of is Sycamore Canyon. Carved into the red rocks at the edge of the Colorado Plateau by the Sycamore Creek and its tributaries. 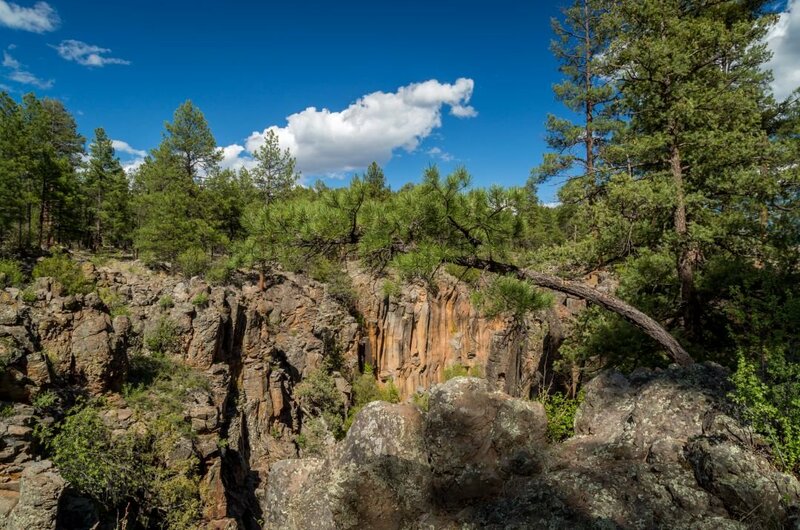 It is a deep canyon that goes for nearly 25 miles and unlike Oak Creek Canyon there is no road through it so to get the best experience of the canyon you get there along dirt tracks. The scenery is absolutely breathtaking. 9 A guided tour to Bell Rock is an absolute must, not just because its formation is stunning to see but because there are claims that Bell Rock is a powerful vortex. There have allegedly been a number of sightings of UFO’s in this area. It is also believed that Bell Rock contains a masculine energy that can help to increase spiritual strength and confidence. Everyone should visit here to see if they feel anything strange! 10 As an alternative thing to do, take a private tour of the Amitabha Stupa and Peace Park. 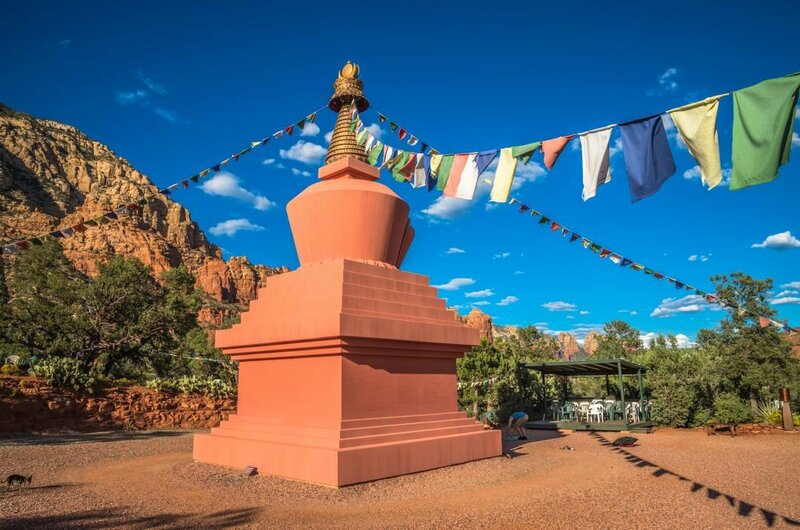 This is a consecrated Buddhist shrine found in the west of Sedona. This Stupa is like a jewel set among amazing landscape and is one of the oldest forms of sacred architecture. The Amitabh Stupa is a short trek up winding trails and stands 36 foot tall with a smaller Tara Stupa beside it for praying and meditation. A very peaceful place to visit. Many different months are the best time to visit Sedona and each one for a different reason. For weather and to get the best out of a sightseeing tour without suffocating in the heat, then you need to go during March to May or September to November when the weather is warm and mild. However, if it is the festivals you are interested in, you will need to check dates before travelling, as they can vary a few days every year. The most important tip when going to Sedona is to make sure you book any private tours or specialised guided tours in advance of travelling and then you will not be disappointed should your tours be booked out when you arrive. Stay safe at all times and do not stray off from the group on tour. At night do not walk alone in dark roads you are not sure about. Keep all personal possessions safely hidden on your person or locked in the hotel safe. The weather in Sedona is great with 278 sunny days out of 365 days. The hottest month of the year is July when temperatures are around 37 degrees Celsius. Mid-March to May and September to November the temperatures are milder averaging 25-28 degrees Celsius but still sunshine. January is definitely the coldest month with temperatures as low as -1 Celsius. There is rain in Sedona but not too much that it would ruin a private tour.